This is after the President signed theExecutive Order (EO) No. 5 last October 11 with the main purpose of wiping out poverty and hunger in the Philippines. According to NEDA Deputy Director General Rosemarie Edillon, this will serve as a guide for the government’s development planning. The EO also mandates the identification of an appropriate set of milestones to guide the successive medium-term development plans. 3. 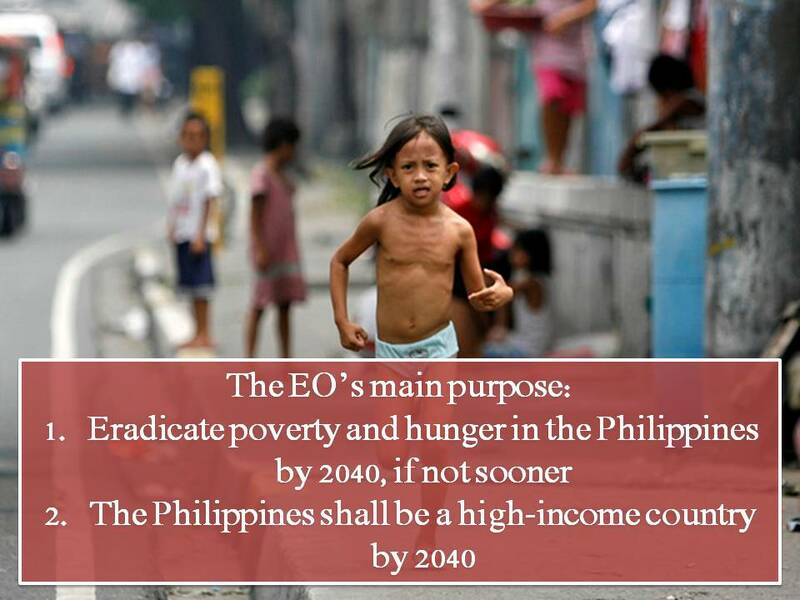 Implementing policies that would make the Philippines a high-income country by 2040. 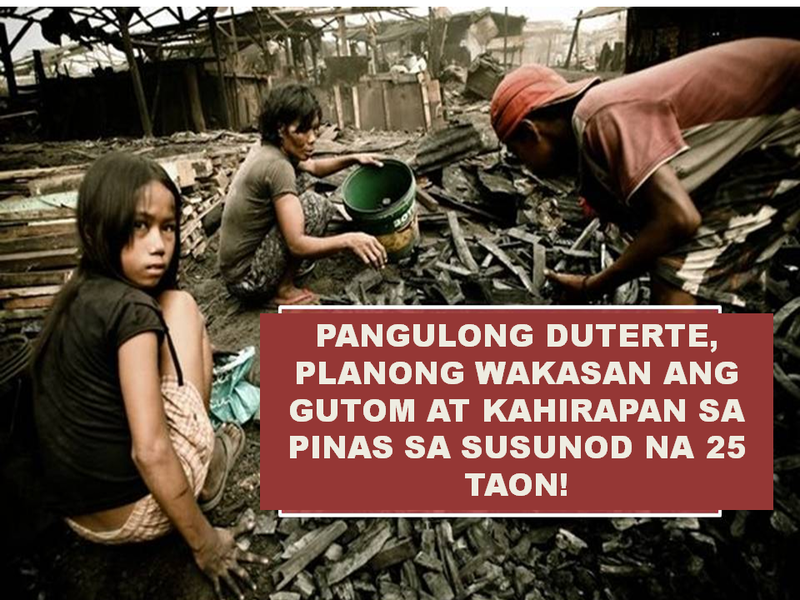 The Philippine Government hereby aims to triple real per capita incomes and eradicate hunger and poverty by 2040 , if not sooner. An appropriate set of milestones shall be identified to guide the successive medium-term development plans. 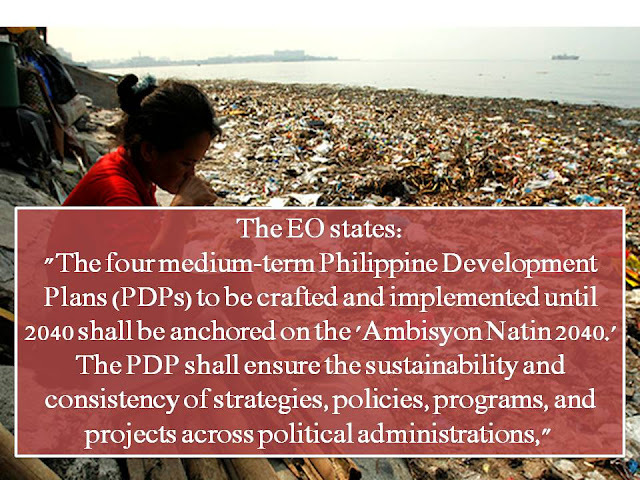 The four (4 ) medium - term Philippine Development Plans , hereafter to be referred to as Philippine Development Plans (PDPs) , to be crafted and implemented until 2040 shall be anchored on the Ambisyon Natin 2040 and overall goals . The PDPs shall ensure sustainability and consistency of strategies , policies , programs and projects across political administrations. -The Philippines shall be a prosperous, predominantly middle-class society where no one is poor. -Our peoples shall live long and healthy lives, be smart and innovative, and shall live in a high-trust society." -that we can plan and prepare for our own and our children's future. -Our family lives together in a place of our own, and we have the freedom to go where we desire, protected and enabled by a clean, efficient and fair government. According to the data of Philippine Statistics Authority (PSA) poverty incidence among Filipinos in the first semester of 2015 was estimated at 26.3 percent. 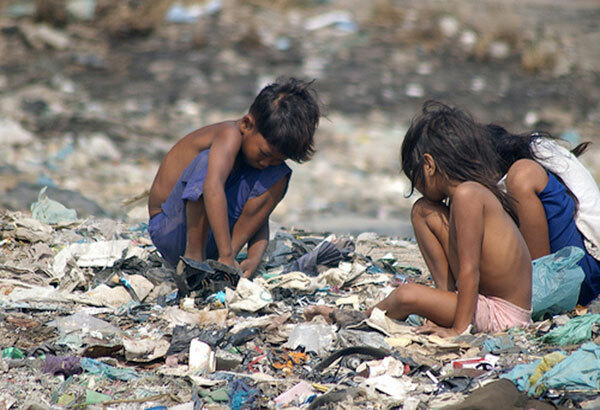 During the same period in 2012, poverty incidence among Filipinos was recorded at 27.9 percent.